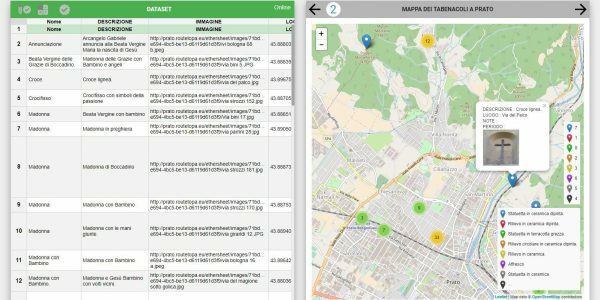 The Municipality of Prato has organized some pilot experiences to implement different scenarios for the co-creation of open datasets, in collaboration between the administration and the citizens, through the use of the tools made available by the Route-to-PA project. In these scenarios, particularly in the first two, the role of the “community manager”, which had the task of soliciting the participation of users and representing an interface with the administration, assumed great importance. 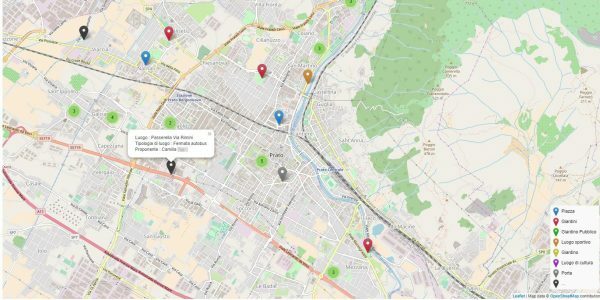 Through the SPOD platform, citizens were invited to submit proposals for the new Wi-Fi hot spots that the Municipality of Prato has to implement to extend the coverage of the city’s network. To provide useful elements to the choice, several open datasets relating to the Prato area (schools, libraries, parks and public gardens) have been made available on the Open Data platform of the Municipality and a discussion room has been opened on SPOD in the agora to gather and evaluate the suggestions. On SPOD a cocreation room was also opened, where interested citizens were able to directly insert their proposals. A total of 34 suggestions were collected, each one also characterized by geographical coordinates, which will be taken into consideration by the administration in drafting the future plan to expand the city wi-fi network. The scenario also allowed the administration to experiment with the SIM module available in SPOD, to model the decision-making process regarding the expansion of the wi-fi network, using a two-criteria decision tree (maximum number of users and minimum expense), which allowed to identify objectively the choice of the best positions to get the best compromise. The scenario thus experimented allowed to test a cooperative approach between administration and citizens and to increase the transparency of decisions. A second scenario experimented in Prato concerned the mapping of the road tabernacles, which constitute a heritage both artistic and of popular devotion and are largely present on the territory, at the crossroads or on the facades of many homes. The activity was carried out with the involvement of two secondary schools: ICS “Filippino Lippi” and ICS “Pier Cironi”. In total 5 classes collaborated, for a total of about 120 students (12-13 years old), followed by their teachers. Also in this case, discussion rooms have been opened on SPOD in the agora and each class has activated its own cocreation room. All datasets had the same structure (tabernacle name, photography, geographic location, characteristics, stories, etc. ), defined together with an expert in art history who collaborated with the project. The classes have filled the datasets either through the SPOD Mobile app provided by the project, or by directly using the web-based platform. In some cases they have also reported in the dataset some stories related to the tabernacles, which represent a memory of the popular devotion and culture of the Prato area. At the end of the work, the produced dataset were evaluated by a commission appointed by the administration and the participating schools received a cash prize, to be used for educational activities or for the purchase of equipment. Eventually, the administration gathered all the datasets produced in one, for a total of almost 250 tabernacles. The final dataset was then published on the TET platform as open dataset, in order to make it accessible to all interested parties. 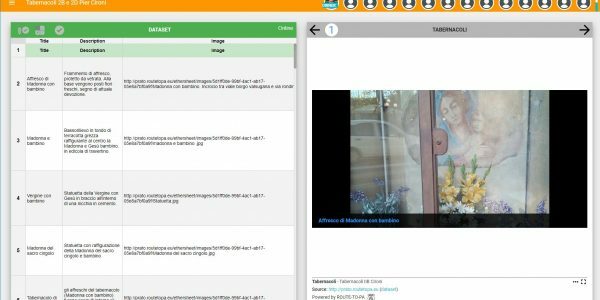 The SPOD platform and the cocreation tools were used by the “Paolo Dagomari” Technical Institute in Prato to create a shared dataset of all the retrocomputing museums in Italy. 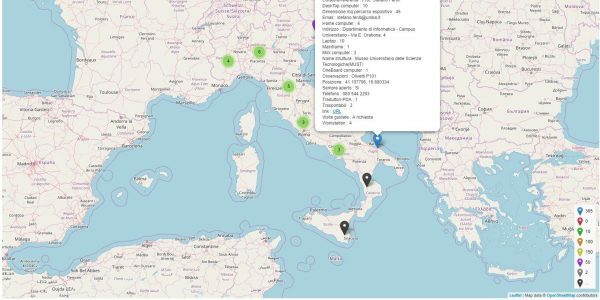 The Dagomari Institute hosts one of these museums and the staff decided to build an open dataset that gathered all the technological equipment of the different museums in Italy. They built a questionnaire and sent it to all the museums, after which they put all the information in a co-created dataset on SPOD. The tools of the platform have therefore allowed to create a map and different views of the contents of the dataset. At the end of the work, a descriptive report was also produced, which represents an original and very interesting result. Experience of cocreation of open data in the city of Prato, Italy. Mapping of computer museum in Italy. Mapping of the road tabernacles carried out with secondary school of Prato (Italy), Pier Cironi. Fig. Data visualization (datalets) and cocreation data or media rooms made on the SPOD platform.